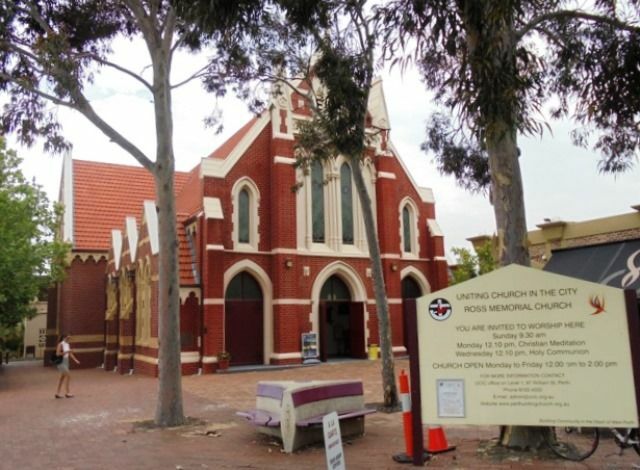 The Ross Memorial Church is named after the Reverend Daniel Ross who was minister of the church for several years until his death in 1917. 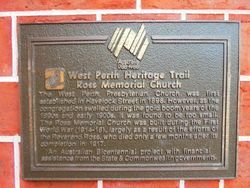 The Reverend David Shearer and the Reverend Daniel Ross, the first two ministers of St Andrews Church in Perth , were instrumental in starting a mission at West Perth which developed into the Ross Memorial Church. The West Perth Presbyterian Church was first established in Havelock Street in 1898. 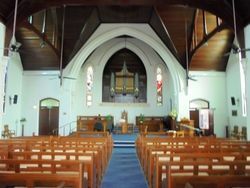 However, as the congregation swelled during the gold boom years of the 1890s and early 1900s, it was found to be too small. 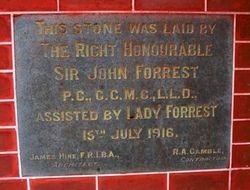 The Ross Memorial Church was built during the First World War (1914 - 18), largely as a result of the efforts of the Reverend Ross, who died only a few months after its completion in 1917. An Australian Bicentennial project with financial assistance from the State & Commonwealth governments.